Bottled Blonde is the newest neighborhood concept of restaurant & nightlife developers Evening Entertainment Group. 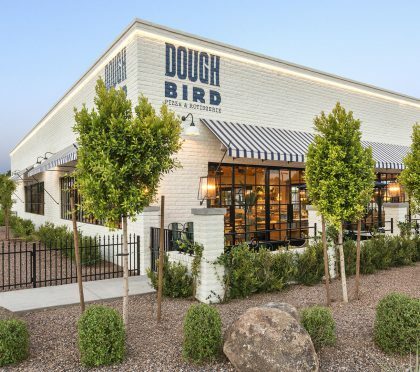 They have upped the al-fresco ante by carving out 9,000+ sq ft of covered patio dining and lounge space right in the heart of Old Town Scottsdale’s bustling Entertainment District. They offer a contemporary Italian menu and ambiance are both rustic and relaxed that features picnicstyle tables, wood-fired pizzas and craft beer. They took modern nods from both the classic Italian kitchen and German bier garden – with emphasis on beloved recipes, and local and craft beer.